When it comes to optimizing operational reliability, and boosting your company’s bottom line, getting the most out of your equipment is key. A few slowdowns and equipment failures here and there can quickly add up to serious losses. And a small investment in predictive and preventive maintenance can make a large difference. That’s why lubrication analysis, or practical tribology, should be a part of your facility’s routine maintenance practices. Tribology is the study of how two surfaces interact with each other in relative motion as it relates to friction, lubrication and wear. When it comes to running a manufacturing plant, or other facility with high performance equipment, tribology and oil analysis can help you successfully identify and correct problems with your equipment relating to friction and lubrication before a total failure occurs. Why is Oil Analysis Important? When the wrong lubricant is applied to your assets, it can have an insidious effect on operational performance. That’s because it can be difficult for the naked eye to identify the common problems caused by improper lubrication. So, even though an asset in your facility might appear to be running smoothly, and might even appear to be properly lubricated, if that lubricant has a lower heat threshold than the operating temperatures of your equipment, it will wear out faster, and increase the risk of a costly equipment failure or repair. Consulting with a tribology specialist is an inexpensive way to help your facility and organization reduce potential failures of your equipment and mechanical systems. A specialist will help you identify the exact lubrication requirements for your particular equipment and systems, and help you to develop a regular maintenance program to help protect vital equipment. When you combine your new oil maintenance program with your existing preventive maintenance programs, you will eliminate the need for more drastic and expensive measures, and see clear increases in reliability, which will save you money in the long run. 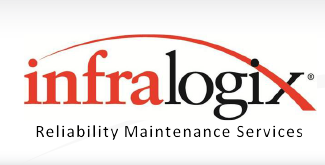 Contact a tribology specialist at Infralogix today to see how an oil maintenance program can make your facility run more smoothly. This entry was posted in Reliability Maintenance.